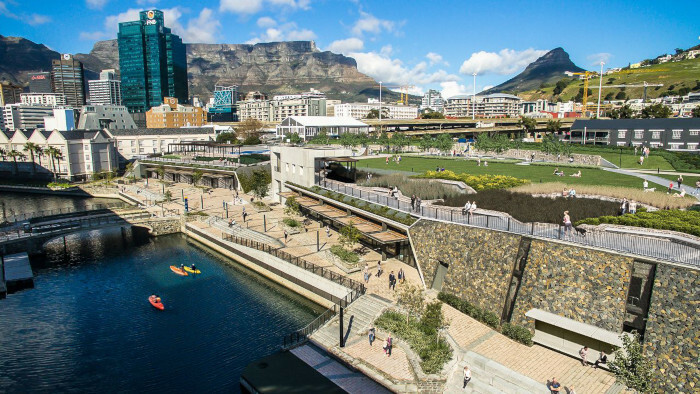 Battery Park, an urban park that recently opened at V&A Waterfront, is finally complete. 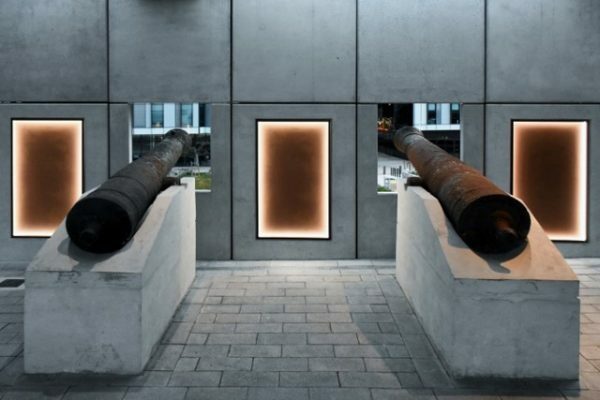 A project headed and completed by the Waterfront Development with the aid of commissioned architects, dhk architects, the mixed-use park was created with the intent to ensure the remnants of the historic landmark, the Amsterdam Battery, remain intact. 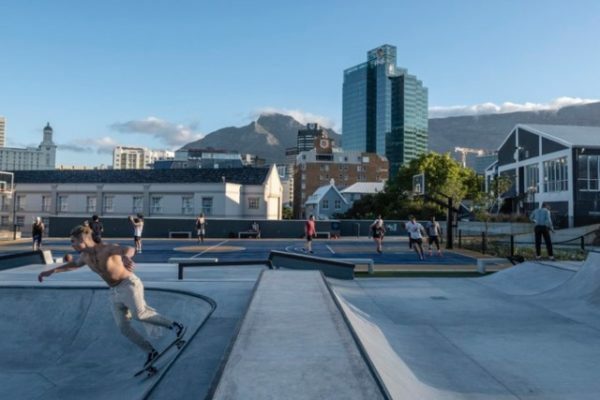 As well as paying homage to the landmark, one of the oldest in Cape Town, Battery Park acts as a space for leisure and recreational activities. The Amsterdam Battery was built by the Dutch along Cape Town’s coastline in 1784 to defend the city from seaborne and land attacks. In the 1800s, the structure was used to house prisoners. Later, it was reused by the British, until it was finally abandoned. 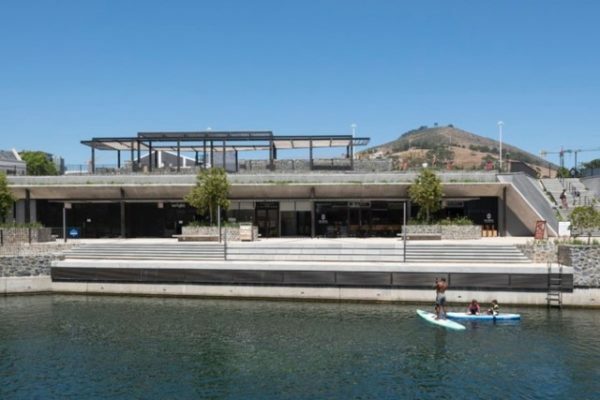 It is a publicly accessible park built at V&A Waterfront canal area. In 1905, a large portion of the battery was destroyed to make way for a railway connection, with only a small portion of the structure left standing. Currently, the remnants of the structure can be found eight metres above the new canal that runs through the lower level of the Battery Park. Visitors to the Battery Park can stroll around the landscaped tree-lined gardens, or meander along the walkways along which there are built-in benches. 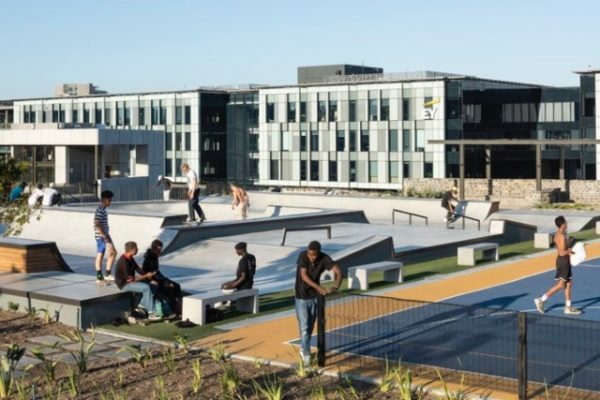 The park is aimed at increasing physical activity in the area and has a concrete skatepark, basketball court and canal where visitors can do water sports. 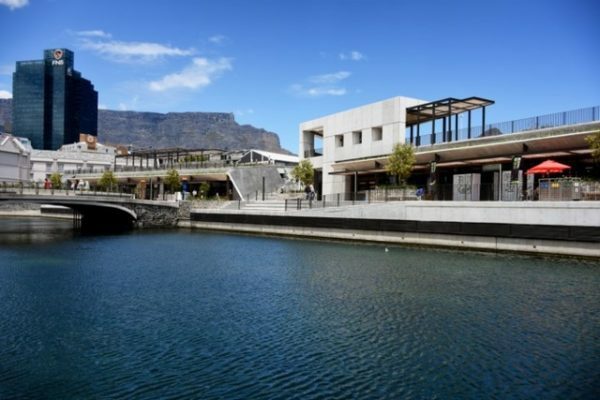 11 boutique retail units line the canal-facing walls, along with other attractions for visitors to the park. Historic cannons from Amsterdam Battery found scattered throughout the V&A by the Cannon Association of South Africa and preserved for the development of the park are now on display inside its interpretation pavilion.